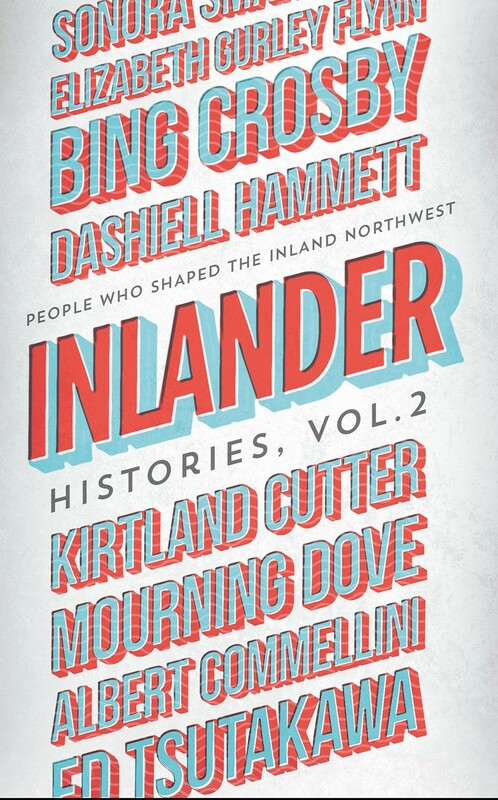 A couple weeks ago, Inlander readers got a taste of some of the new history-based stories gathered in the new volume of Inlander Histories, an examination by one of our regular contributors, E.J. Iannelli, of how steamboats played a huge role in the development of the region. That story is just one example of the stories filling the second edition of Inlander Histories, a collection of stories that all originally appeared in the pages of the Inlander over the last 22 years or so, including stories about the Looff Carousel, the founders of Spokane's first hospital, the life of Spokane's favorite famous son Bing Crosby (all due respect to John Stockton), and much more. Many of the stories were printed well before the Internet became, you know, a thing, so readers haven't had access to them in years. The new book, available at Auntie's as well as the Inlander office, is the follow-up to 2014's first volume — check out a slideshow of historic photos from some of those stories. Tonight at Auntie's, Northwest history lover and Inlander publisher Ted McGregor will read from the new book and talk about the stories and their development for the paper; you can read a little about his passion for the subject in a recent column. It's a perfect night out for local history buffs, even with a little snow on the ground. The reading starts at 7 pm, and it's free to the public.